After Parliament repealed the Townshend Duties and the Army pulled the soldiers out of downtown Boston in 1770, things had remained relatively quiet for the about three years. Parliament did not try to pass any laws that would tick off the colonies, and colonial leaders seemed to go about their business. There remained the continuing British attempts to enforce customs laws. The colonies continued to smuggle much of their trade in avoidance of these laws. The one significant issue during this period was the 1772 attack on the Gaspee which I discussed back in Episode 36. Beyond that, it was the usual cat and mouse game between smugglers and customs officials supported by the Navy. The colonists never really claimed a right to smuggle goods though, so the only political fight was over what tactics officials could use to search colonists. Politically, the dispute over the tea tax remained a sticking point. 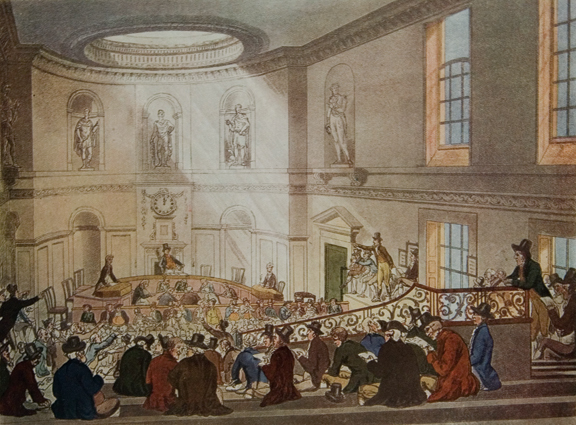 The tax had been part of the original Townshend duties in 1767 and was the only part of the tax still in effect. Importers in the colonies had to pay 3 pence per pound on imported tea. The colonists had decided that this duty was for revenue rather than trade regulation, and therefore unconstitutional. Parliament had decided that the whinny colonies were going to learn their place. They would have to accept this duty, and should just be grateful that they did not have even higher taxes. The resulting standoff led to the non-importation agreements that had been in effect for many years. Colonists would not import British tea. Anyone who tried to import tea could lose customers or suffer mob action against their person or property. Today we would call this a boycott. But since that term would not be invented until Charles Boycott ticked off some Irish tenants more than a century later, I’ve tried to avoid using the term. The agreements did not stop tea imports entirely, but the more than 600,000 pounds tea per year that colonies imported before the Townshend Act, now averaged just 260,000 pounds per year in the three years of the non-importation agreements. Colonists continued to smuggle Dutch tea, as well as adopting alternatives, such as coffee, hot chocolate, and herbal teas. Since 1770, Britain had collected a total of less than £10,000 for the three years combined, far less than it had spent on customs enforcement. The biggest victim of this standoff was the East India Company. The Company existed as a private corporation, which had a British monopoly on all trade with half of the globe. From the east coast of Africa to the west coast of America the Company had an exclusive right to all trade with Britain and its colonies. It had received this monopoly from Queen Elizabeth I in 1600. Before then, the British relied on Spain and Portuguese traders from Asia. With the defeat of the Spanish Armada in 1588, the British took control of the seas and decided to create their own trading system. Although the East India Company existed as a private company, it acted as an arm of the British government almost from the beginning. Its stockholders included many members of Parliament. It maintained its own army and navy, at times issued its own currency, and conducted its own diplomacy with foreign powers, all with the cooperation and backing of the British government. It also became the first major international drug trafficker, illegally importing opium into China. The Company maintained a wide range of trade goods from Asia. It did not even begin importing tea until 1667. Demand for tea grew continually. By the mid 1700’s, tea from China became its dominant import, accounting for over 90% of Company profits. As tea replaced the heavily taxed alcohol in Britain, the government replaced that lost revenue by taxing tea imports at ever increasing rates. Despite the heavy taxation, British subjects throughout the empire used millions of pounds of tea each year. The Company’s monopoly gave it a massive bargaining advantage overseas, as well as a captive customer base at home. But colonial non-importation agreements in America were only one tiny part of its problems. In the 1760’s The Company effectively took control of Bengal, a large area currently divided between Bangladesh and India. After taking control militarily and removing any uncooperative elites, the Company set up large plantations. It compelled local merchants and workers to accept miserably small wages in order to maximize corporate profits. It grew a number of crops for textiles, but the biggest industry was growing poppies to make opium. It used the opium to trade for tea in China. Many aristocrats from Britain worked abroad for the company, making personal fortunes that would last them a lifetime. Some of this came from the generous pay, other money came from bribes, kickbacks, and private trade deals. The Company became a major revenue producer for the Empire. 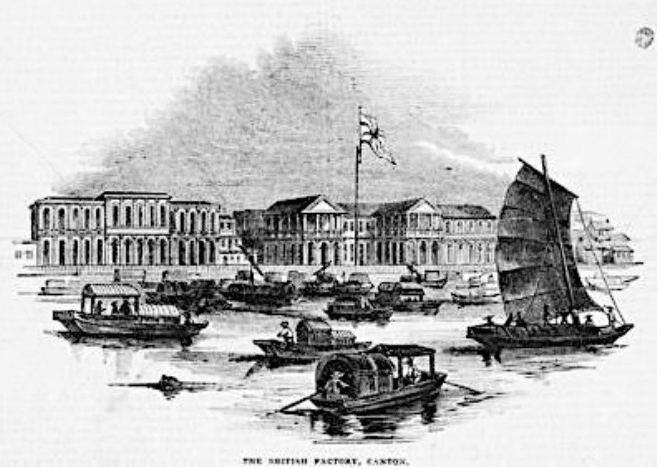 In addition to the massive amount of customs duties paid each year, the Company provided a flat payment of £400,000 annually for the government to leave it alone in Bengal. At a time when the entire government budget was only around £11 million, that was a good chunk of money. That was just for Bengal, it did not include the millions it paid in customs duties for tea and other items it imported to England. In addition, the company’s 12.5% dividend enriched investors, who primarily came from the aristocracy and Parliament. In 1769 though, Bengal began a multi year drought and famine. After years of seeing their excess wealth shipped back to London, millions of locals had few resources and began starving to death. Of greater concern back in London, the East India Company was unable to maintain its cash flow. Over the next few years it had to borrow money from the Bank of England to maintain its tax and dividend payments. In 1772, things went from bad to worse. Alexander Fordyce, Scottish financial speculator made a massive bet on East India Company stock that went bad. Fordyce had to flee to France to avoid his creditors. His network of banks went bankrupt, leading to a massive credit crunch throughout Britain. Company stock began to tank. The nation entered a recession, which only depressed tea sales even more. When the Company attempted to obtain another loan to pay the more than £1 million it owed in government taxes and duties, it found no one willing to lend them that kind of money. In order to slow the financial hemorrhaging, the Company cancelled its annual dividend payment. That got the attention of Parliament, since a large number of its members relied on that dividend income to support their lifestyles. In response, Parliament engaged in a government takeover of the Company. The Regulating Act of 1773 took put Bengal under a Royal Governor and established a court system. 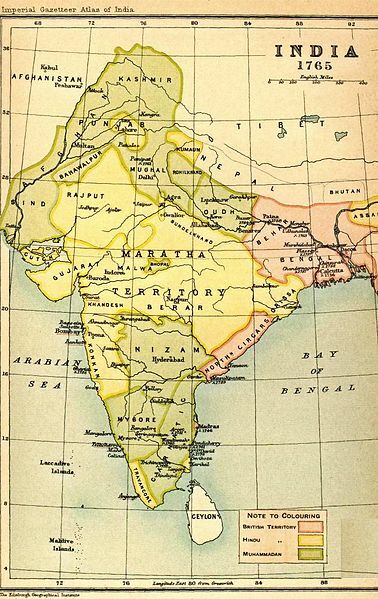 Over decades, the Governor’s position would eventually evolve into the Viceroy of India. The Act also regulated pay of employees and outlawed bribes and gifts. It also barred employees from engaging in private trade deals. Finally, it reduced dividend payments from 12% to a more realistic 6%. In addition Parliament granted the company a £1.4 million loan to help it out of its immediate cash crunch. The new regulations and the loan helped to resolve the Bengal problems. At the same time Parliament debated the Regulating Act, it also debated reforms to the tea trade that would benefit the Company. Until 1773, all Company tea had to come to England for sale. After sale at auction, merchants could take it throughout the Empire, including the American colonies. Under the Tea Act of 1773, the East India Company could bypass the London auction and ship its tea directly to the colonies, provided that England had sufficient amounts of tea stocks in reserve. The Company appointed consignees, who would pay the necessary duties and put a downpayment on the value of the tea. Once sold, the consignees would pay off the remaining costs and keep the profits of any sales. This greatly reduced costs by eliminating middle men in London, a second set of merchant vessels between England and the colonies, as well as the costs of shipping, loading, and unloading tea multiple times. Tea could go straight to the colonies for direct sale. In addition, Britain eliminated almost all customs duties on tea. In England, these fees a few years earlier had added an estimated 119% to the cost of a cup of tea. The reforms meant that tea sold in England still had some duties, but far fewer. For tea shipped to the colonies, Parliament either rebated or did not charge any duties at all, other than the 3 pence per pound which the consignee would continue to pay on receipt of imports. Now it seems this 3 pence fee was not really about the money. Part of the law eliminated another fee on colonial tea that brought in far more money than the 3 pence. The Company had asked for the 3 pence fee to be eliminated rather than the larger fee paid in London. Doing so would have happily ended all the colonial non-importation agreements with celebration. It probably would have more than doubled colonial demand for English tea overnight. No one in the colonies seemed to have any problems with fees collected in London before tea arrived in the colonies. In short, British revenues would increase, the Company would sell more tea, and the colonies would end non-importation as they would see the reforms as a victory. But that last thing was the rub for the administration. There was no way they were going to let the colonies “win” on the issue of import duties. Lord North remained firm that the colonies would pay this duty if only to establish once and for all that Parliament had authority to establish revenue duties on the colonies. Colonists followed the The East India Company’s ongoing troubles with great interest. Newspapers discussed its problems. Committees of Correspondence tried to reach a consensus on how to react. At first, some colonists tried to ally themselves with the Company. The government essentially tossed the Company’s charter in the trash with its government takeover. Colonists drew an easy parallel to what could happen to their own colonial charters. Over time though, the colonists saw other parallels that scared them more. The East India Company had taken control of Bengal. Through taxes and regulations it had sucked dry the country, leaving millions to starve while well paid executives and government officials made fortunes on the backs of those they ruled. What would prevent London from doing the same to America? Bengal stood as a cautionary tale of what could happen if people did not fight for their basic rights and liberties. The North Ministry had decided to make the tea tax the test of colonial submission to taxes. So, the Patriots increased their resolve to resist any sale of East India Company Tea. Over the years, the non-importation agreements had substantially reduced the amount of British tea the colonies consumed. That said, the agreements had differing levels of success in different regions. The southern colonies agreed in name only. The level of imports in Virginia and the Carolinas barely changed at all, though the Carolinas reduced more than Virginia. Southern colonies, though, imported only small amounts from the beginning and did not really have much impact. Philadelphia and New York had the best records, with almost no British tea imported. Part of the reason for this is that they already had strong connections in Amsterdam and were able to import plenty of illegal Dutch tea instead. Customs enforcement was not terribly effective in these areas.. New York had only one naval vessel to patrol the entire coast of Long Island. That they caught anyone was only because there were so many targets. So, Dutch tea remained cheap and plentiful. The middle colonies did not reduce their tea consumption, they simply bought from another cheaper source. Boston and the rest of New England were another story, The region had substantially reduced imports, to less than a third of pre-Townshend levels. That still meant that hundreds of thousands of pounds of tea were still entering New England each year. Boston had a significant contingent of loyalist merchants who either refused to accept the agreements, or simply cheated on them. The non-importation agreements had been faltering on their own. A few Boston merchants who had refused to sign the agreements were making a fortune without much competition. Two of the merchants were Gov. Hutchinson’s two sons. Richard Clarke, a prominent merchant and shipper also imported a great deal of tea without apology. With tea still arriving, the merchants not importing any saw themselves as the only losers. They began cheating more and more, sneaking British tea into the colony in violation of their own agreements. Clarke shipped some of his tea on ships owned by John Hancock. If the status quo had remained another year or two, the effort might have faltered on its own. The new tea laws, however, breathed new life into the resistance. Patriot leaders saw, I think correctly, that the North Ministry had designed new rules, reducing prices but maintaining a nominal tax, specifically to break resistance and establish Parliament’s right to tax once and for all. The Patriots determined not to let any of the new tea shipments land in the colonies. As I mentioned before, up until 1773, all legal tea came from China to London. Twice a year, the company held wholesale auctions of the tea. Merchants would buy the tea, pay the required taxes, and then sell the tea locally. Colonists who wanted tea, would place orders with English merchants who would then ship the tea to the colonies. Typically, a colonial merchant would purchase tea in wholesale amounts, then sell it at retail directly to consumers, or break it down into smaller amounts for other merchants to purchase and resell yet again to consumers. A chest of tea held about 360 pounds of leaf. The chest itself was a strong lead lined wooden chest, designed to be waterproof and to protect the valuable leaf from any contamination or theft during shipment. The chest itself was about 90 pounds, so a full chest weighed about 450 pounds total. Because full chests were so large and unwieldy, merchants sometimes shipped tea in smaller half chests or quarter chests. As I mentioned, a few large wholesale merchants in Boston continued to buy large quantities of tea even after most merchants had stopped purchases in 1769 in accordance with the non-importation agreements. Many merchants and other consumers also ordered smaller amounts of tea directly from London merchants to be shipped to them directly. This reduced the costs of one middleman, but meant they bore the risk of shipment across the ocean. After passage of the Tea Act of 1773, The East India Company designated consignees in major ports to do the work that had been done by London merchants. The Company would ship tea directly to the colony, where the consignee would take possession, after having paid the duty and provided a deposit of 1/8th of the retail value of the tea. The consignee would then provide smaller amounts to merchants around the region for resale. The consignee would have to repay the company the remaining cost of the tea within two months, keeping a six percent commission for his work. Out of that commission, he would have to pay his own costs of storage, duties, and any other distribution costs. Despite all the costs, being a consignee would be a lucrative position. The company worked with several London merchants to identify dependable colonial merchants to serve as tea consignees. In Boston, the Company designated Richard Clarke & Sons, the Hutchinson Brothers, Benjamin Faneuil, and Joshua Winslow as consignees. All were well connected merchants who had continued to import tea during the non-importation period. Clarke’s father in law worked for the East India Company. Thomas and Elisha Hutchinson were sons of the governor. In other cities, the Company selected well established merchant traders with good reputations and good connections in London. In New York, Frederick Pigou and Benjamin Booth served as primary consignees. In Philadelphia, the Wharton family, which you may remember from their attempt to set up the Colony of Vandalia, still ongoing at this point, took a consignment. Also James & Drinker would serve as Philadelphia consignees. In Charleston, Roger Smith and the firm of Leger and Greenwood were consignees. Consignees had to put up substantial deposits and bonds to ensure protection of the tea. They could not easily walk away from their obligations. Further, the consignees knew there might be opposition, and agreed among each other to stand firm against any protests. Although the new law apparently gave the Company authority to ship directly to the colonies, the first shipments came from England. This may be due to the fact that the Company had an excess of tea in England at the time that it needed to unload. It sent seven shiploads of tea to the colonies for the first wave of what it hoped would be many more. The ships Dartmouth, Eleanor, William and Beaver headed for Boston. The Nancy went to New York, the Polly to Philadelphia, and the London to Charleston. Although there were four ships headed to Boston, don’t think that Boston was getting that much more tea. The Nancy and the Polly were much larger ships. Each of them carried a little more than one-third of the total amount of tea being shipped. The four ships headed to Boston combined carried a little more than half the amounts going to New York or Philadelphia. In total more than 2000 chests of tea containing over 600,000 pounds of leaf and valued at over £60,000, set sail for America aboard the seven ships. This single shipment was as much all the colonies had purchased in the last three years combined. Since cost was much lower than ever before, the Company and its consignees remained optimistic. If successful, the government would raise about £8200 in duties, still not enough to cover the cost of the customs service, but still a nice chunk of change. Next week: the tea arrives in America. I’m sure everything will go swimmingly! 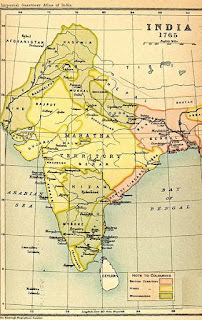 Sivramkrishna, Sashi, "The Role That Currency Played in the Great Bengal Famine of 1770"
(Though this episode shares the same title as mine, I came up with the title long before I found this episode). East India Company Memoir on the affairs of the East-India Company, London: J.L. Cox, 1830. Cushing, Harry The writings of Samuel Adams, vol. 3, New York: G.P. Putnum's Sons, 1907. Drake, France (ed) Tea Leaves: Being a Collection of Letters and Documents Relating to the Shipment of Tea to the American Colonies in the Year 1773 by the East India Tea Company, Boston: A.O. Crane, 1884. Macpherson, James The history and management of the East-India Company, from its origin in 1600 to the present time, London: T. Cadell, 1782. Mukerji, Panchanandas (ed) Indian constitutional documents, 1773-1915, (Chap. 1 contains full text of the Regulating Act of 1773, The introduction gives a brief summary of British involvement in the region). Schelsinger, Arthur "The Uprising Against the East India Company" Political Science Quarterly, 1917, pp. 60-79 (available for free at jstor.org). Thatcher, BB Traits of the tea party; being a memoir of George R. T. Hewes, one of the last of its survivors; with a history of that transaction; reminiscences of the massacre, and the siege, and other stories of old times, New York: Harper & Brothers, 1835. Carp, Benjamin Defiance of the Patriots: The Boston Tea Party and the Making of America, New Haven: Yale University Press, 2010. Labaree, Benjamin W. The Boston Tea Party, Oxford University Press, 1964. Sutherland, Lucy The East India Company in 18th Century Politics Clarendon Press, 1952. Unger, Harlow American Tempest: How the Boston Tea Party Sparked a Revolution, Cambridge: Da Capo Press, 2011.